This weekend I am going to try running my first two race, back to back, weekend. A “warm-up” for the Spartan Race I will be running in Amesbury the next day, Sunday morning. My hope is to be up in Amesbury before anyone in my house is even awake, run the race and get home by lunch!! I know the task is not hard, but I am going to run both of them as hard as possible. My endurance is getting better, but it needs more beating into submission. I have been running more and have added tons of burpees every day, hoping to be up to a few hundred a day by the big Winter Death Race. Slowly but surely I’m getting there, here’s hoping 5 months from today I am truly ready!! We all know and love Joe DeSena, well some of us do at least, all those damned burpees he’s doled out has a few too many people hatin’ on him. 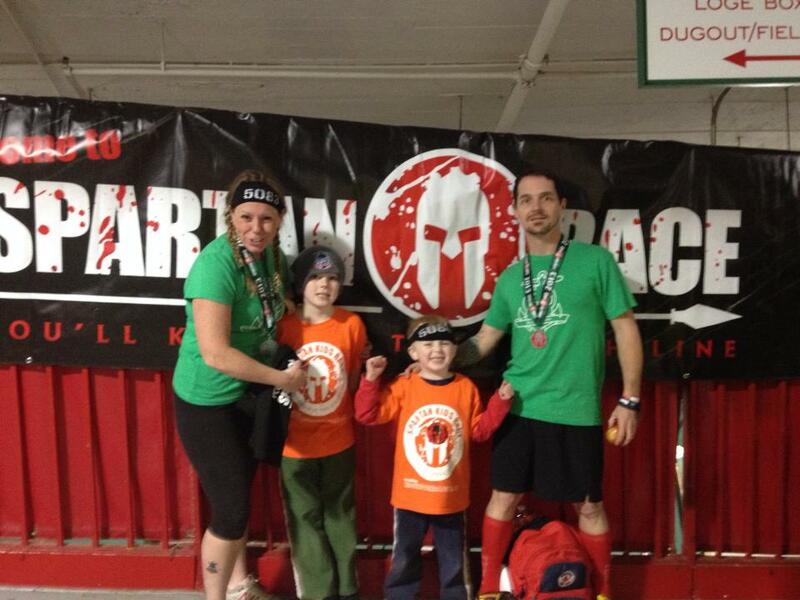 That said, we know him as one of the founders of one of the most successful OCR companies, Spartan Race! You can search the history, but nuts and bolts of it is, Spartan had their first Spartan Race event in 2010. Since then they have exploded and are currently one of the largest international OCR racing companies. They push the limits and are driving the industry. “Spartan Up” lays out the groundwork not only for Spartan Race from the past, present and future, but gets us into the head of what makes Joe DeSena the man he is. From humble beginnings, to desk jobs and then finally getting fed up with it all. Joe tells stories of how he broke and realized there was more to life than the rat race. I had no idea the extent of what Joe has accomplished in his short time on the planet. From running Badwater to doing other ultra-marathons and endurance hikes, he’s done it all. His wit and wisdom (did I just call Joe witty?) is expounded by the page and parallels are drawn from every possible angle. His advice is not medical advice, and should not be taken as such, but is practical and could save your life. You’ve heard it before, simple things like changing your diet, making time for movement of any sort. Joe basically talks about our roots as animalistic beings. We used to have to scavenge for our food, now it’s in a machine tucked neatly inside of cellophane and a box. We used to scavenge for our foods, which were fresh and free of preservatives. We have become so lazy that the most effort we put into our food, for the most part, is to tear open the package and shove it into our mouths. He also talk about dealing with pain and prioritizing that pain. For instance, and I am not typing this verbatim, he mentions marathon running. Instead of focusing on the pain the whole lump sum of 26.2 miles may bring, prioritize it to each telephone pole. Deal with it bit by bit, it’s easier to cope with and is less daunting. It won’t control your mindset the whole run and maybe, just maybe you might enjoy it. I have a new respect for this guy, nothing was handed to him on a silver platter, he made himself into the man he is today. One word you will read throughout the book, and that describes Joe the best, is grit. He has it, it’s been a driving force for him. Without it, he would be nothing. Spartan Up can very well provide you with a path toward building that grit of your own. One thing I respect the hell out of Joe for is the fact he is what he is. There is no sugar-coating, there is no filter at all on this man. He will tell you like it is whether you want to hear it or not. Call it tough love, because I honestly believe he wants to see you become the best YOU that you can be!! Highly recommend you read this! Order the book by clicking the cover up above or CLICK HERE!! Last weekend Obstacle Racing history was made! This past September, NBC Sports descended upon Mt. Killington, as did thousands of racers, for the Spartan Race World Championship. The intent was to record the race and broadcast it in November. For whatever reason, the decision was made to put it off until December. The tension heightened briefly when news of the delay broke, as those that were looking forward to seeing it were getting more and more anxious. Could it have been NBC wanted to edit it down some more? Or, was this another one of Spartan’s cruel jokes, we all know Joe and Andy love to build us up to bring us back down again… alas, the day was upon us! Nationwide, Spartans besieged training facilities, bars and living rooms to view the spectacle. Here in Massachusetts there were at least two events I knew of. One was held at Fanueil Hall in Boston and was hosted by the Spartan Race founders themselves. The other, in which I attended with a slew of other Spahtens, was held in Warwick, RI at Unleashed. The plan was to train for a bit at their immense OCR facility then head over to a local bar that was airing the event. We trained for an hour and a half, changed, then the convoy began to Millers Crossing. We arrived and steadily the bar filled up. Their were a couple of locals at the bar in for an early Saturday drink or two, and they shook their heads wondering what we were all there for. 4pm hit and on cue the show began to much jubilation. Voices were hushed and we settled in. How was it? Well, to be honest, I think it could have run a lot longer. An hour didn’t seem like enough time to truly capture the whole experience. If you have run one, then you know what I mean. That said, I understand why the decisions were made to present it to the public like it was. 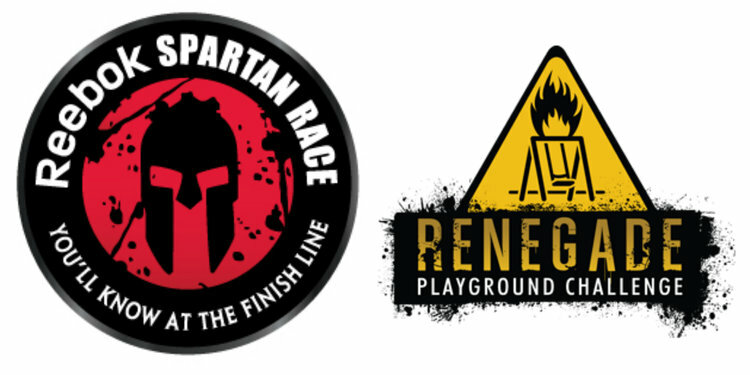 Ideally, Spartan is looking to be at the forefront of making OCR a legitimate sport. What we got was a bunch of footage of the elite racers. There were some brief bio’s given of each, but again, they only had an hours time so it was not as in-depth as some might hope. There were a couple of stories scattered of some inspirational figures such as Chris Davis, Danny Rodriguez and Winter Vinecki of Team Winter. A Spartan Racer from Texas, Isaiah Vidal, was challenged and funded by Joe Desana (co-founder of Spartan Race) to ride his bike from Texas to Vermont. Briefly, a brain cancer survivor was highlighted, and pumped up those of us that watched with his miraculous turn around story. Other than that, it was coverage of the race. Not much mention of individual obstacles, or at least not more than a couple. They did touch on some of the staples such as the spear toss, herculean hoist and the sandbag carry but this is where I think some attention could have been concentrated. Showing it done by the elites may have made some of those couch sitters cringe. Watching Matt, Cody and the other’s conquer the obstacles seemed like something only someone who was totally in shape could do, thus, making said couch sitter continue to sit on the couch. There was no ripping of people off the couch this time around. I am certain this was only a smidgeon of what Spartan had hoped to present, and I am confident this is not the only time we will see Spartan featured on a sports network or television for that matter. With such a large partner as Reebok, be assured that their hands were in this too as far as editing and stuff went. This showing was as much a “show me party” to the world for Spartan Race as it was Reebok to parlay their new line of sneakers. I would love to see the next installment brought down to earth for the lay folk, because they are what are driving the popularity of the sport and obstacle races in general. Not to be lost in Spartan and Reebok’s big weekend, unbeknownst to most of us, MTV was airing an episode in their True Life ( series in which three people were training for a Tough Mudder. Of the three story lines, the one that interested me most was Noah Galloway’s. In case you didn’t know, Noah was a soldier and one day the vehicle he was in was hit by a roadside bomb. He lost his left arm and leg. After feeling sorry for himself and drowning himself in alcohol and other harmful habits, he awoke and realized it was time to move beyond that. Since then he has completed 7 Tough Mudder’s, a number of Spartan Race’s and more. His story is amazing and he has become a major influence people’s lives. I know my boys see him and are blown away by his drive and tenacity. The second story line was about a set of male twin brother’s. They are both super competitive and always provoking the other into challenges to see who is better. They commit to get in on a Tough Mudder to decide once and for all who is best. After a talking to by their mom though, the boys realize they must work together, not against each other, in order to complete to course. Lastly, the third “character” is a younger woman who wants to do this to prove to other she is more than just a princess. I will keep my forked tongue between my teeth here, but will just say that after all the whining she does get through and completes the Tough Mudder, so good for her. While some may say Tough Mudder got the larger exposure being on MTV and all, that is debatable. Both OCR Series have their niche, and like previously mentioned, Spartan Race is truly trying to push beyond just being a mud run series and take this sport to a professional level. Tough Mudder, while difficult in its own right, is not looking for much more than they already have. I’m sure a few more ticket sales wouldn’t be bad, considering some of the bad press they have received from some recent accidents (including a death). MTV was the right market for them and I will argue that all day, it’s the crowd they are looking for. I think Spartan could have tried a sports network that more people had as part of the cable subscriptions as NBC Sports is part of a higher paying package. With their vision to take this to the next level and expose OCR as a truly competitive sport, a sports network was just right to find their audience. All in all though, both shows were effective in getting out the message that obstacle races and fun runs are here to stay and will continue to grow. Whether you are looking for some fun in the mud with some friends, or are looking to make some cash running with the elites, there is always a race for those that are interested in trying one out.